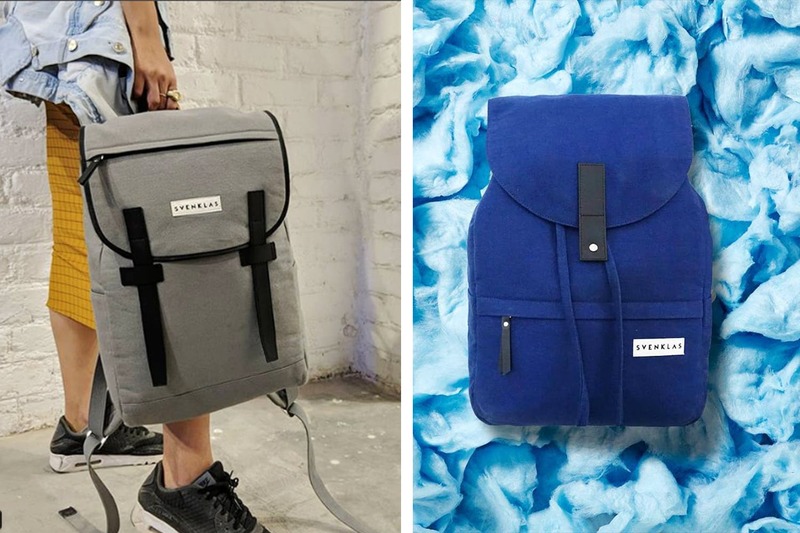 In the era of planet-friendly fashion and less is more, Indian brand Svenklas is doing pared down, modern backpacks that will never go out of style. Always wanted a backpack but not quite found your style yet? These streamlined backpacks by Svenklas will instantly elevate everything you wear – from street-style fits, or corporate wear or just T-shirt and jeans. These are office friendly, and suitable for all ages. The brand was started by Nikhil and Nischal who have spent some time in Scandinavia and have a minimalistic approach to style. You won’t find any randomly placed pockets, redundant zippers and unnecessary lines. There’s a lot to like in their making process as well. They partner with the best factories, artisans and source premium materials. Each bag is crafted from high-grade cotton duck and quality leather sourced from Turkey, Argentina and Spain. And their dyeing process is non-toxic and the dye-water is recycled. So you can buy these with a clear conscience! The products are highly durable and priced quite reasonably (starting from INR 2,199). Use the Code LUCKYME at checkout and get INR 400 off on your first order on their website. A straightforward backpack is a no-brainer staple. So go ahead and get one. Don’t be surprised by the conversations it’ll start.